Nothing is cuter than baby tushies and toes! This special outfit brings them both together in an adorable way. 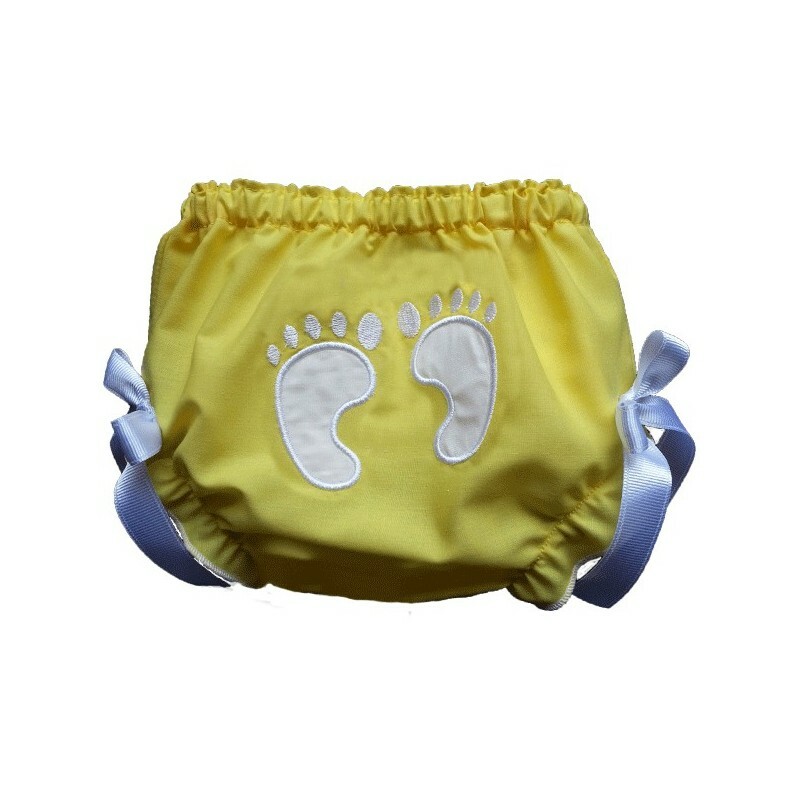 Features yellow embroidery with a yellow applique on the top, white footprint applique on the bloomers and pants. Personalized it any way you want to! Choose "Welcome (name)" as pictured or any other special phrase! 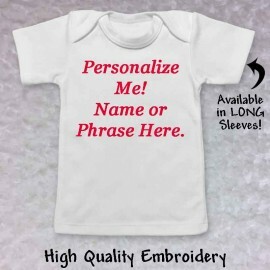 Choose from T-shirt or onesie, and pants or bloomers. 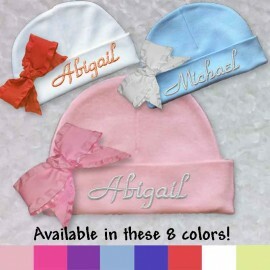 Enter your baby's name in the product customization area below. This adorable outfit is perfect for coming home from the hospital or as a shower gift. Adding your baby's name makes it special and unique. Choose from pants or bloomers. Better yet, choose them both! Personalization Details: We welcome special requests so If you would like something other than "Welcome (name), enter the phrase in the customization area below. 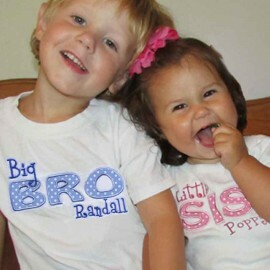 It's your baby's special outfit so be as creative as you want! 2 line, 13 letters per line maximum. Features: High quality embroidery. Pants are ultra soft stretch cotton. 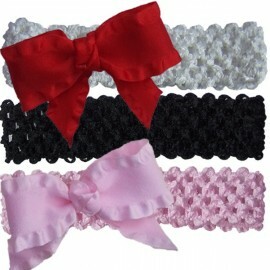 Comfort elastic. Machine washable.